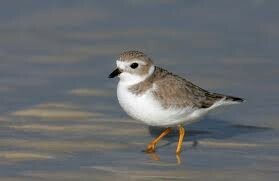 Piping Plovers live on wide, open sandy beaches or rocky shores. They can be found along the Atlantic Coast and the Great Lakes. It was hunted for its feathers to put on women's hats and dresses. If you had more feathers from rare birds, you were a symbol of high society. This is mainly why the population decreased. In the decades following World War II, there was habitat loss from beach development and the population decreased even more and eventually, the Great Lakes population fell to about only two dozen left. 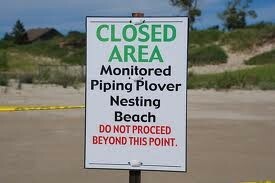 Why Would The Piping Plover Be Missed? 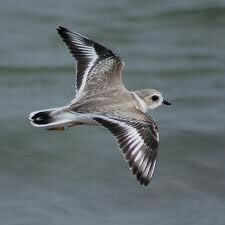 The piping plover eats marine worms, beetles, crustaceans, mollusks, and flies. 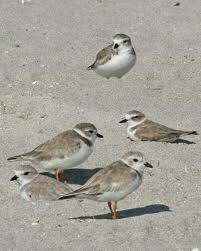 If the piping plover was gone, there would be an increase in everything the piping plover eats. 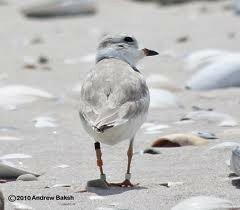 There would be a decrease in what eats the piping plover, too. These include gulls, crows, merlins, falcons, red foxes, coyotes and striped skunks. How Can Humans Help Me? Designated nesting areas have been blocked off to pedestrians and and is protected from foxes, raccoons, free-ranging cats and dogs, skunks and other predators. 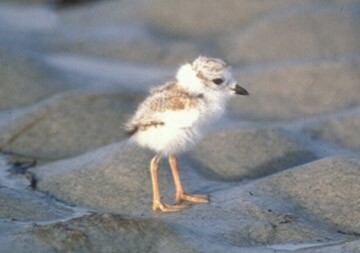 In some places, beach access to pedestrians and Off Road Vehicles has been limited to protect piping plovers and their chicks at critical times of the breeding season. "Midwest Region | U.S. Fish and Wildlife Service Midwest Region." Midwest Region | U.S. Fish and Wildlife Service Midwest Region. N.P.,n.d. Web. 19 Nov. 2012 <http://midwest.fws.gov/>. Gray, Catherine "How Is a Piping Plover Important to Its Ecosystem?" EHow. Demand Media n.d.